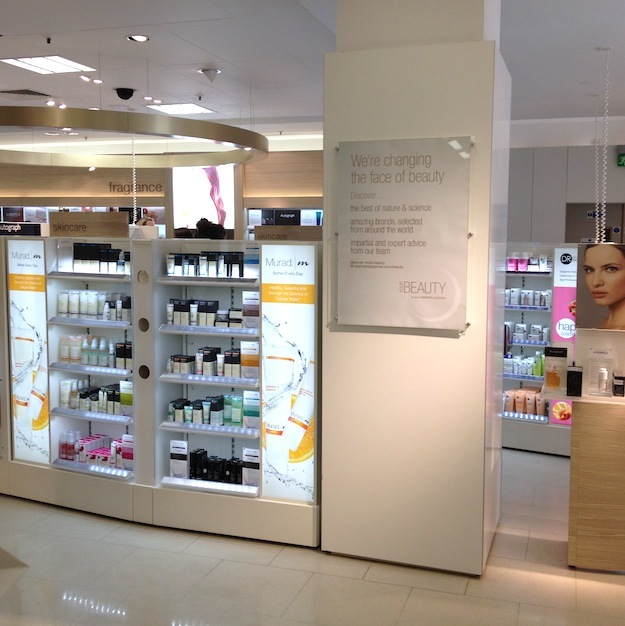 The Amazing, All-New M&S Beauty Department! I’m going to cut straight to the chase with this, because it’s late and I’m tired. I have been sat on the tube trying to think of some witty one-liners involving cotton knickers and my penchant for M&S value packs of tights, but I really can’t summon up the brainpower needed to sculpt a fine body of writing full of double-entendres and teasing, suspense-creating sentences. So what did I see instead? 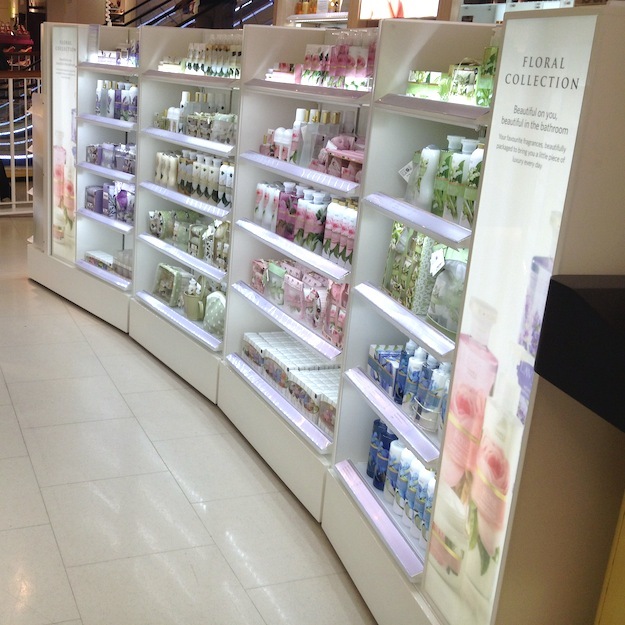 Only what looked like the inside of Space NK, a beautifully lit space with aisle upon aisle of incredible brands! When I say incredible, I really mean incredible. The first one that caught my eye? FILORGA! Yes, the very Filorga that we mourned on Sunday when House of Fraser were selling off the last of their stock! Finally, Filorga will be entirely accessible in the UK. And a great natural Greek brand called Apivita. And an Icelandic skincare range called Skyn. And so, so many more! Is this not just shocking you to the very core? I couldn’t actually believe it as I wandered around – it was as though someone had been reading A Model Recommends and then decided to play a trick on me! Besides the incredible brands on offer (Roger & Gallet, NUXE, Murad, Leighton Denny) there are trained beauty advisors who can help you with makeovers and skin consultations. They don’t work on commission or have any loyalty to a particular brand, so it’s great unbiased advice. I think that this beauty department will be an amazing development for Marks & Spencer – taking on niche and hard-to-find brands gives them an edge above the typical “department store” offering of Clarins and Clinique and other mainstream brands. 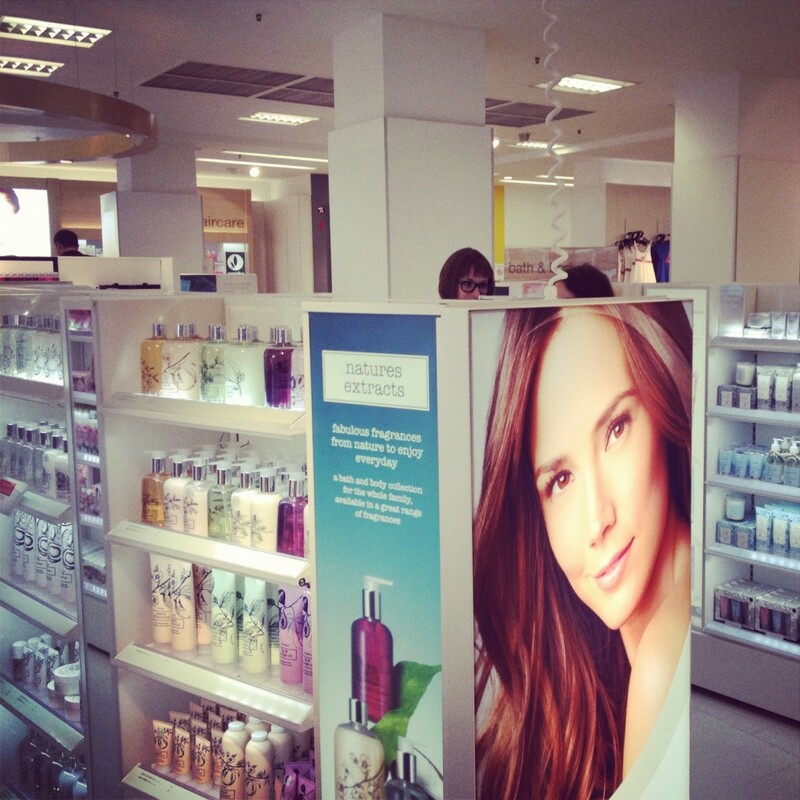 They have obviously given a lot of thought to the direction that they wanted this beauty department to go in, and I think that they’ve got it spot-on: modern, intelligent, considered. I’m quite taken aback. I’m going to go back there and have a proper browse, so expect some mini-reviews of the exclusive brands soon. If you live in West London, go and visit. If you live elsewhere, then there will be a bit of a pause before the beauty paradise reaches your store – I think the next opening is in Westfield Stratford and then by this time next year, there will be 100 departments open. But why wait? Yes, the online beauty department has opened and you can browse at your leisure. Dangerous times, people. Dangerous times. Previous Post Amazing Elemis Gift with Mr & Mrs Smith!